High quality, durable nylon with a reflective stripe. 5' length. 18" of bright red LED illumination. 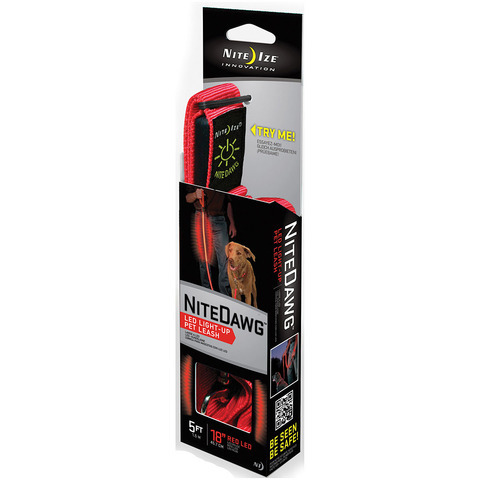 Weather-resistant, enclosed switch gives the leash the ability to either glow or flash. Easily replaceable 1 x 2032 3V lithium battery included.